Irish Transport Heritage is proud to announce the acquisition of our 4th Leyland Tiger, Wright bodied 1431 (WXI 4431). Joining our existing fleet of Tigers (N-types 343 - DXI 3343, 1315 - PXI 1315 and TE 524 - PXI 5524), 1431 is our first addition of 2011, and is representative of the only batch of 25 Tiger chassis built with this style of Wright's coachwork. 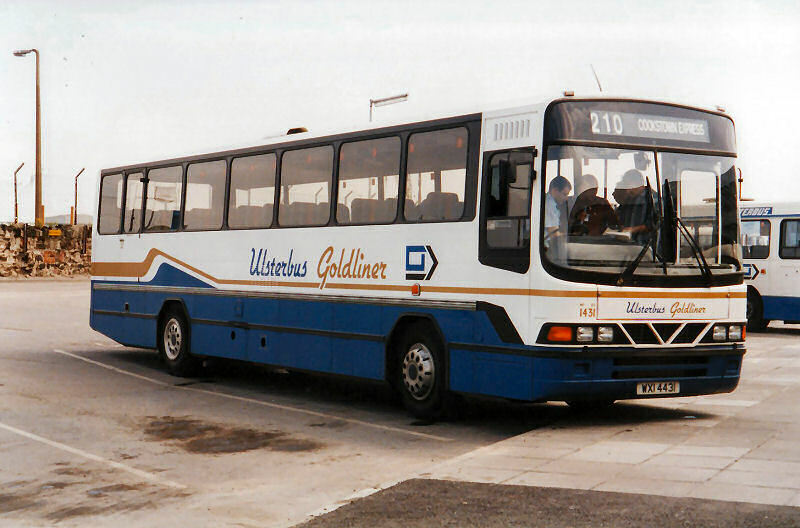 In the early 1990's the the Ulsterbus Goldline express service brand had taken off, and after the purchases of the first two batches of express coaches Ulsterbus had an urgent requirement for further express type vehicles. Management had a desire for a more coach like appearance and a contract was awarded to Wrights for 25 53-seaters. These had a new high floor body style (named Endeavour) and they represented an important landmark both for Ulsterbus and for Wrights. For Ulsterbus they represented the first batch of full sized vehicles supplied to them by Wrights, everything (apart from Leopard specials 258 and 259) up to this point being minibuses. For Wrights it also represented their breakthrough into the big bus market both here and on the mainland. 1431 entered service at Magherafelt depot on 4th August 1992, and remained at that depot for all it's life, being detaxed finally on 30th June 2009. It was taken off the road for accident repair between 31st March 1999 and 22nd May 1999, and during 2003 it was converted to a service bus. 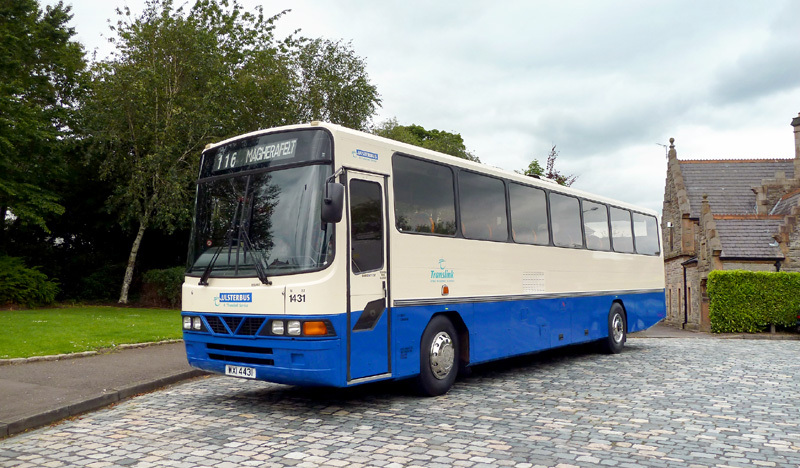 This entailed removal of the 53 coach seats and replacement with 57 individual Lazzerini bus seats, as well as a repaint to blue and ivory livery. It is in this state that 1431 is currently presented. Whilst at Magherafelt 1431 would have rubbed shoulders with our TE Tiger 524, which interestingly was also based there for it's entire service career.